Last night, “Marvel’s Agents of S.H.I.E.L.D.” returned with a terrifying introduction to the Framework and a world in which Hydra won. In the latest episode of “This Week in Marvel’s Agents of S.H.I.E.L.D.,” we chat with writer DJ Doyle as he walks us through the new world order to this new arc arc. 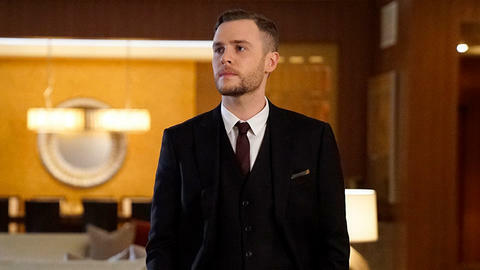 Download episode #57 of “This Week in Marvel’s Agents of S.H.I.E.L.D.” from Marvel.com! Catch new episodes of “Marvel’s Agents of S.H.I.E.L.D.” Tuesdays at 10:00 PM ET on ABC. Go behind-the-scenes of “Marvel’s Agents of S.H.I.E.L.D.” with a new podcast series for the hit show on ABC! Every week we’ll talk with a different member of the cast and production crew as well as Executive Producers examining the twists and turns of the most recent episode, as well as taking a look at the creation process behind this exciting series! Don’t miss “Marvel’s Agents of S.H.I.E.L.D.” Tuesdays at its new time, 10:00 p.m. ET on ABC, and catch a new episode of “This Week in Marvel’s Agents of S.H.I.E.L.D.” right here every Wednesday!